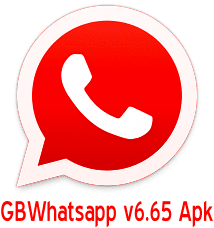 Gbwhatsapp v6.65 official Apk can be downloaded for Android devices, the updates came recently and there are new features added. One cool feature of GbWhatsapp 6.65 is the ability to download any user sticker or emoticons and use while you chat. This new GBWhatsapp v6.55 Apk feature is similar to Telegram's sticker download feature. Now if you like any sticker or emoticons, you can download them with just a button and then use them on any conversation. If you are new to GBWhatsapp, here is a quick review. Gbwhatsapp is a modded Whatsapp application by a Fan and it comes with better features than the original Whatsapp. You can create your own theme and send to the modder and you can use pre-installed and new themes on your whatsapp. I have also noticed Gbwhatsapp updates their app before WhatsApp does, that's a bit weird for a big company like that. Anyway, below are some features of the latest Official GBWhatsappp v6.65 and review for Android phones. 5. Turn off call reception has been developed so that you can stop it without showing the other party that your phone is ringing and appears to be connected. These are nice features that must be tried, below is the download links and requirements. Before downloading GBWhatsapp v6.65 Apk, you need to know your phone hardware because you are downloading it depending on your phone hardware. More than one (1) GBWhatsapp v6.65 download links have been provided in the link below and they are for different phone hardware, if you download the wrong one, you will get "App not Installed". The only fix for that is to download the right version for your phone. To do that, download droid Hardware Info Apk for android which allows you to view your phone's hardware information and with that, you can know which version to download. My Android hardware on Droid apk displays (arm64-v8a), so on Gbwhatsapp 6.65 Android download, I Download with the 3rd link which is (arm64-v8a) and it installs successfully. I hope you enjoyed this post, continue visiting for more quality contents like this and have a nice day.